Ayahuasca Retreat Preparation | How to Prepare For Ayahuasca? The quality of your healing retreat is really dependent on the preparation you put into it. There is a lot that goes into properly preparing for the ceremonies, and on this page we’ll cover exactly what proper Ayahuasca preparation looks like. Correctly preparing for your Ayahuasca experience is crucial to ensure you get the most from the medicine. For a lot of people, having your first ceremony is an experience that you have probably been looking forward to or anticipating for months, or maybe even years. But the first thing in order to have the best ceremony that you can… is to release all expectations. The attitude that you have when approaching the medicine is your greatest determining factor as to whether you’ll really enjoy your experience or not. Before attending the retreat, really check in with yourself. Ask yourself: am I truly committed to doing this for my greatest benefit? Or do I want to do this “just because” or “just to try it” or maybe you’re simply looking for an altered state? If you have the wrong approach to the medicine, it’s highly recommended to re-think it and perhaps re-consider it in the future. This medicine is exactly that… a medicine. It’s not a drug or a psychedelic hallucinogen that you do because you want an Ayahuasca trip. It’s a sacred plant that ancient Amazonian tribes have been working with for thousands of years for the deepest energetic, emotional and physical healing, and to connect with the depths of Who You Really Are – your Divine Source, the Limitless Infinite Potential Source Energy that you are. You’re so much more than this physical body and this mind reading these words. Whatever you want to call it – your Spirit, Soul, Higher Self – there’s a part of you that exists that is so much greater and more powerful than this physical human can ever be. And this is what you can connect with when you experience Ayahuasca. If your intentions are pure, coming from the deepest depths of your Being to grow, to heal, to evolve, to discover parts of you that you have yet to connect with, or perhaps have lost touch with… If you’re approaching the medicine from a sincere place of seeking inner transformation and healing, for your inner evolution and spiritual growth, great! Then, and only then, would I recommend that you proceed with seeking out the medicine. Once you have that in check, the next way to best prepare is to let go of all expectations from what you will experience. Or you can vomit all night, and energetically be wrung out of all the things that do not serve you… which of course, is very healing in its own way and will leave you feeling like a brand new being. Whatever happens, you will get exactly what you need. To learn more about possible Ayahuasca effects, then you can visit this page here. From there, the best way to proceed with your Ayahuasca preparation is to eliminate certain things that don’t serve your highest state of consciousness, health and well-being. At the end of the day, free will always prevails and everyone can choose for him or herself how much dedication and effort they’re willing to put into preparing for their retreat… but if you really want to go deep and get all that can with the medicine, then we highly recommend to follow the guidelines below. After all, if you’re going through such lengths to fly to Peru and experience this medicine for yourself, it is highly recommended that you do everything that you can to get the best experience possible. Following these guidelines will ensure this happens. us. If we truly long to become the best version of ourselves, to live according to our highest truth and achieve our highest potential, we need to dedicate ourselves to truly take responsibility and do the necessary inner work. We’ve grown up in a world that is distorted in many ways, with never ending warfare, blatant political and economic corruption, environmental destruction and so forth… In western, consumerist society with so much division, anger, greed, fear and so forth.. We simply all carry our own baggage, wounds, trauma, pains and conditioning. It’s not our fault. However, it IS most definitely our responsibility to work on ourselves, to heal, grow and transcend this old paradigm built upon fear and division. To cut the chains in our ancestral lineage of unconsciousness and abuse. Not just for ourselves but for all of humanity because everything is interconnected. We’re all in this together! One thing that can happen specifically for the Ayahuasca ceremonies if you don’t follow certain guidelines, is that the medicine won’t be able to work deeply within, since your body will be “clogged” either energetically or physically. By not following these guidelines, you won’t feel the effects anywhere close to as much as if you adhere to these guidelines and create the space for the medicine to work inside of you. – Avoid excessive alcohol and recreational drugs including cannabis for at least 2 weeks prior to the retreat. – Avoid fast food for at least 2 weeks prior to the retreat. – Avoid alcohol entirely for a minimum of 72 hours prior. – Avoid sexual contact for a minimum of 48 hours prior. – Ensure you are well hydrated, but please avoid drinking too much water directly before the Ayahuasca ceremonies. – It’s suggested that you avoid foods with MAOI inhibitors for at least 48 hours before drinking Ayahuasca. This includes: fermented or non fresh foods, cheese, miso, tofu or other fermented soy products, dried fruits, tamari or soy sauce, sauerkraut, pickled foods, protein extracts, processed or smoked meat products, yeast/brewers yeast, (yeast in baked goods is OK). 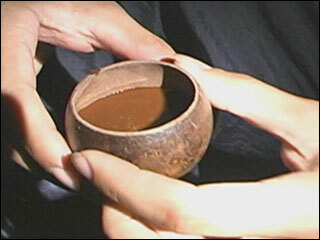 – We also suggest that in the weeks before drinking Ayahuasca, you prepare your body to receive the medicine. This means avoiding fried foods, spicy foods, dairy, pork and refined sugars. This is especially important in the 48 hours prior to your ceremony. Basically, fresh, clean and natural foods with a high ratio of fresh vegetables and fruits is the best way to prepare. – Many medications and natural supplements are not complimentary with this work and can be dangerous, especially MAO inhibiting medications, SSRIs and/or antidepressants. For a full list of supplements and medication not compatible with Ayahuasca, please visit our page on Medical Guidelines. Please note that this list is far from complete – in case of doubt please ask us in time. If you need to stop taking any medication prior to your Ayahuasca experience, please consult with your doctor about stopping such medications at least one month before drinking. Lastly, there are certain lifestyle changes that you could consider implementing which would be immensely beneficial and complentary to plant medicine work. These are general things we would recommend to anyone, regardless of whether or not they’ll be attending an Ayahuasca retreat. Generally speaking, the more centered, grounded and healthy in body, mind and spirit you are, the deeper the medicines can work. Of course many people come for the healing experience so please don’t try to push yourself! They’re simply suggestions – just feel into what resonates. – A daily spiritual practice such as meditation, yoga or other mind/body/spirit practices are very complimentary to this work. They teach you to focus your energy and connect to your breath, which is very useful during the ceremonies and in life in general. They help us to live more from the heart and less from the mind. – As human beings we haven’t evolved to be sitting behind desks the entire day and there’s a lot of scientific research to be found that not engaging in any type of movement or exercise is quite harmful to our mental, emotional and physical health. Some type of regular movement – exercise, sports, running, dance or hiking for example – is greatly beneficial. – Technology has brought us so many blessings and benefits that we couldn’t possibly imagine 100 years ago. Needless to say, anything in excess is harmful and can hinder our health and inner development. Spending more time in nature and less time scrolling through Facebook and constantly checking our phones, for example, will really do wonders. Walking barefoot in nature, also known as ‘grounding’, has immense health benefits. – Not every diet works for everyone and it’s important to listen to our own body to feel into what type of foods work best for us. Of course fastfood, processed foods, excessive sugar and so forth isn’t beneficial to anyone and avoiding harmful foods as much as possible can do amazing things for our physical, emotional and spiritual states of being. – Journaling can be an immensely valuable practice to gain more insight into our own subconscious minds. Especially before a retreat it can be beneficial to gain more clarity on whatever’s bothering is, whatever we’re hoping to heal or transform inside that no longer serve us. – Reading books with valuable information, wisdom or knowledge on consciousness, spirituality, healthy living and so forth and then implementing the information into your day to day life is wonderful. Avoiding negative energy – fear based media and so forth is recommended. Again, reflect on your intention… and let go. Sometimes that which we think we need to work on isn’t what comes up during ceremonies or your retreat at all. However, spending some time inquiring within, about what you want to heal or let go of, prepares you to open up to whatever is being brought forwards in your ceremony. Allow yourself to be curious, set intentions for your attitude and approach during this sometimes-challenging process and ask for assistance from whatever sources of spiritual support you resonate with. If you’re attending one of our healing retreats in Peru, it’s important to be cautious of the weather. During the day it’s often nice, warm and sunny but at night or when it’s cloudy it can cool off quite a bit. The rainy season lasts from December until the end of April. It’s not too bad and definitely won’t rain all day long – it’s summer in Peru during these months so it’s generally warmer than during the rest of the year. – Reusable water bottle – we want to avoid one time use products as much as possible. – Toiletries: soap, toothpaste and so forth. It’s recommended to avoid perfumes and make up during the retreat. – If possible, please bring biodegradable soap with you. – Pack it in, pack it out: we want to avoid as much garbage as possible! – Creative materials for your free time – pen, paper, paints, crafts, musical instruments, whatever you would like to channel your healing process into. – A little something personally significant/sacred that you would like to add to our altar in the Maloka during your stay, such as a crystal or mineral. – Books: while it’s OK to read, we recommend that you spend as much time as possible in stillness and in silence with yourself and books can be a distraction from the inner process. However if you’d prefer to bring a book, we recommend material related to spirituality, philosophy, healing, nature or personal development to keep you focused on your purpose. – Electronics: it’s better to avoid bringing too many electronic distractions. It is appropriate to listen to a little gentle music but be mindful of others’ space, so please use headphones if you are to do so. The best Ayahuasca preparation you can do for yourself is to have clear intentions, to release your expectations, and to clean your body, both physically and energetically, by abstaining from certain things (listed above) prior to your ceremony. To already commit to your highest state of health and well being before the retreat, as much as possible. We look forward to meeting you in person. Thank you so much for feeling the call to this medicine and life changing transformation, and for trusting us to support you through this journey. As we heal ourselves, we heal the world.